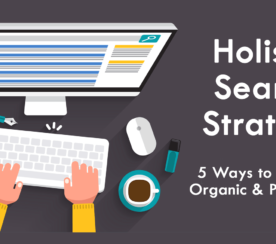 In our last SEJ article, we talked about four specific ways mobile search is different than ‘regular’ search. 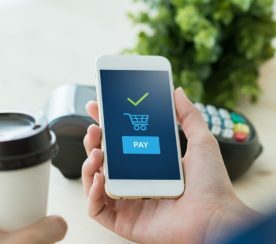 This article will focus on a few best practices specifically for mobile paid search. If you are a PPC manager or marketing director, then you should read this article. It is critical to understand that mobile PPC is very different than ‘regular’ PPC. Thus, the best practices are different. Hopefully this article helps. Mobile search will surpass desktop search sometime in 2014. In other words, more people will find your website on their smartphone than on their desktop or laptop. That should change the way marketers function and the way businesses think about search and allocate their money for SEM. Mobile search produces phone calls and map look-ups more frequently than any other actions. How’s that for different? The bottom line is this: The things you’ve known about paid search for 10 years need to be fundamentally redefined to succeed in a mobile environment. Mobile paid search is a different and, in many ways, a much more frightening animal. Drive Calls: Trying to generate calls from mobile devices is wise. Google says that mobile ads containing a click-able phone number—click-to-call (CTC) ads—have higher CTR than tradition pay-per-click mobile ads. That’s important to remember. Calls are a natural action and a preferred method of engagement in a mobile environment. Research is increasingly showing that calls are the second most common action after a mobile search—second only to map lookups. Google Adwords Call Extensions: Perhaps the best way to drive phone calls via mobile paid search is with Google Adwords Call Extensions. In your Google Adwords account, you simply add an ‘Ad Extension’ or ‘Call Extension.’ You can input any phone number as your ‘call extension.’ Google will simply make that number clickable when the ad appears. (We recommend using a call tracking phone number to gather call analytics from your CTC campaigns). Ad Copy: Many companies attempt to drive calls via mobile CTC without ever mentioning the call within their ad copy. That’s silly. Google says that including phrases like ‘Call Today’ or ‘Call Right Now’ within paid ad copy increase CTR by 6 percent or more. 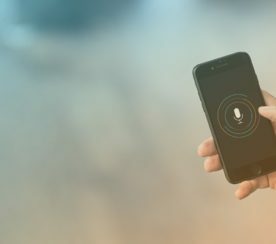 Call-specific phrases will increase the likelihood that a mobile searcher will call you. And Google recommends it. Separate Your Mobile Campaign in Adwords: The default Google Adwords setting is to simply apply desktop settings and rules to mobile. You shouldn’t do that. They should be separate. This is critical because the keywords, ad groups, and offers are distinctively different on mobile devices. Bid for Position 1-2: Real estate on a mobile device is at a premium. The screen is small. Fewer search results can appear on a page. In most cases only one or, possibly, two ads will appear on each page. If you don’t bid high enough, or have high enough ad quality, you will appear in position three or four. That’s good enough for standard PPC, but not nearly good enough for mobile PPC. You must do anything and everything to get to position one or two. Keyword Strategies and Day-Parting: Mobile searches include more misspellings and shorter phrases. This is critical to remember during the bidding process. It means you should start broad to discover mobile keyword phrases and then optimize from there. Mobile users use their devices at home and on-the-go. Mobile searchers behave very differently than ‘regular’ searchers. They are lower in the buying funnel. They are more ready to buy immediately. And they don’t use their devices at work. They use their devices at home while watching TV, at the store while shopping, or—sadly perhaps—at red lights or while traveling. This means that traditional Adwords off-hours are mobile on-hours. Run your mobile PPC ads on evenings and weekends. Landing Pages: We will write an entire blog post about mobile landing pages in the coming weeks. But I’ll give you the short and dirty version here. The rules for mobile landing pages and desktop landing pages are totally and completely different. Desktop landing pages focus on getting information from the visitor via a form fill-out of some sort. This is the focus of regular landing pages. Generally, the user wants to download a White Paper or request a product demo of some sort. Mobile landing pages should, conversely, focus on producing a phone call or, possibly, getting someone to give you their email address. Mobile forms—if you insist on having them—should only have one or two fields in them as opposed to seven to nine. 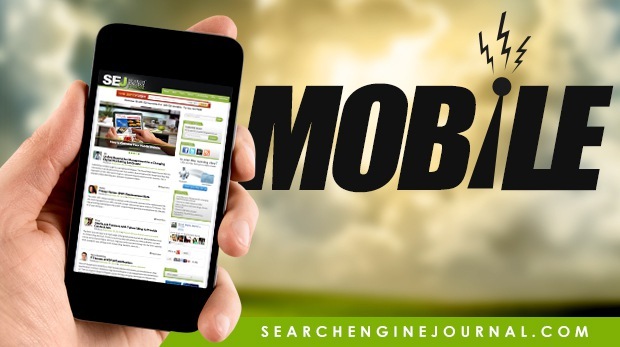 The mobile search boom has just started. It is critical to prepare and optimize now, so you don’t get left behind in the mobile search deluge. Mobile search can be an intricate and delicate thing to learn. The rules are very, very different.